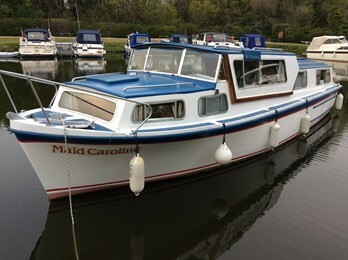 This round bilge GRP boat craft featured a long keel for easy handling. The centre cockpit has a sliding GRP wheelhouse and the airdraft was kept at 8ft. There were 6 berths in 3 cabins. Some models have 2 toilets. Engines fitted were ususally Perkins, BMC or Mercedes 4 cylinder diesels on shaft drive. 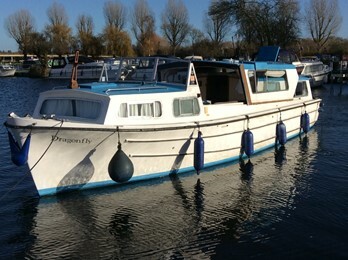 The design was influenced and marketed by Ken Pfaff who was previously a sales manager for Appleyard, Lincoln, Ely.These craft were about as large a cruiser that can be put on the River Great Ouse and several have been completley refitted by their owners to provide a more modern interior with good facilities.The images show a refitted example.